Growing up in the Cariboo allowed me to be in the outdoors every day. I started fishing in the creek on my grandfather`s farm for small rainbow trout and I was hooked from that first tug. Our family used to hike in to the Blackwater River to camp and fish I always enjoyed catching those hard fighting rainbow trout. Fifty years later floating the Blackwater with clients I still get excited watching as those aggressive rainbows attack dry flies on the surface. Going through the different phases of fishing has seen me catching really big rainbows and bull trout, catching salmon, big sturgeon, steelhead as well as tropical destinations for the grand slam. I love dry fly fishing; nothing beats seeing a trout as it surges up and slams your fly. I really enjoy fishing mouse patterns after everyone has fished through a run and getting a reluctant fish to take!! Teaching someone to fly fish is the best job I can imagine, watching the joy as they master casting a dry fly, and then hook a hard running trout. The big smiles as they fight and land the fish. This is followed by a quick picture and the gentle release. It`s my privilege to share our regions great fishing on tv, Recently Fly Fusion filmed two episodes with us, one on the East arm of Quesnel Lake and the other on the Blackwater River. They are currently on WFN fall 2016 and slated for spring of 2017, we have done shows with Columbia Country sports fishing the west, they were from Spokane Washington. We also did a few shows with Nice Fish out of Victoria. We made the cover of the Sportsman news 2013 and it was at all trade shows in the USA. BC Bull Trout. We have had stories and articles in BC Sports fishing and other publications in Canada and the USA. 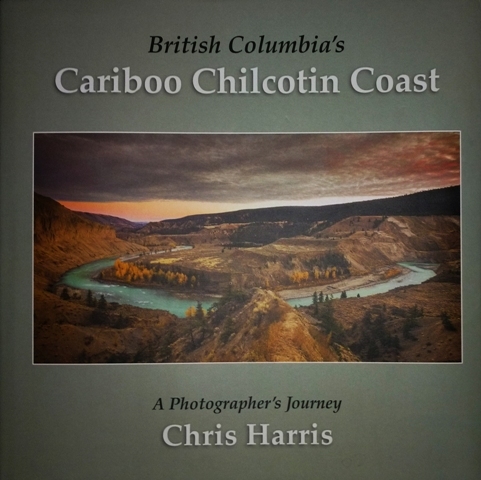 It`s a real honor to be included in Chris Harris newest book Titled Cariboo Chilcotin Coast. This is the flagship publication for our area and a must have for anyone wanting to experience the beauty and diversity of our region. We have a few shows in the planning stage for 2017. Giving back has always been important to me; I worked with a great bunch of people for the Pacific Salmon Foundation Dinners here in Quesnel. Have donated jet boat trips for minor hockey fund raisers as well as fundraisers for the Tour De North Cancer Bike Trips. I am a first responder for all search and rescue water calls in our area. My greatest joy is taking a young person fishing who has no Dad, grandfather to teach them, If you have the chance to do this it is very rewarding. 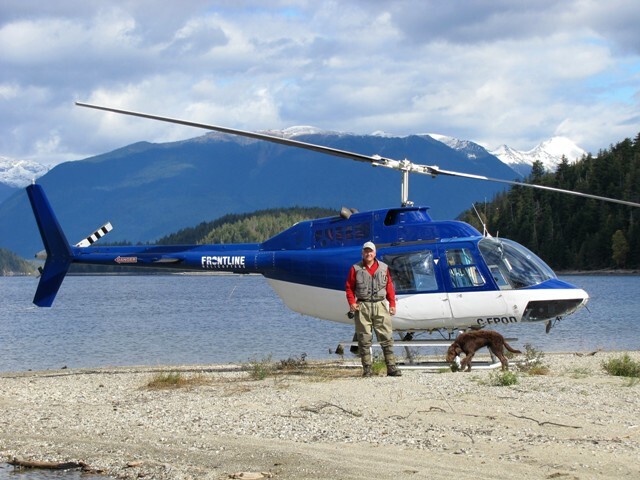 My business has evolved over time starting with one jet boat and a 16 foot raft, we now have helicopter fly fishing, heated jet boats, a fleet of rafts for wilderness float trips, and grizzly viewing. If you want to catch big rainbows call us, If you want outstanding dry fly fishing call us. Join us for your next adventure! !